Edsel Bryant Ford, the only child of Ford Motor Co. founder Henry Ford, grew up with America's nascent auto industry and, for a time until his death at 49, ran the car company. His most notable contributions were to automobile styling. With his father, Ford established the philanthropic Ford Foundation. During his youth, Edsel B. Ford enjoyed a close relationship with his father that became strained in his adulthood. While the senior Ford generally supported his son and spoke highly of his abilities, Ford's stewardship of Ford Motor was tightly contained by the will of his father. According to a Ford Motor biography, Ford was six weeks old when his father tested the first Ford engine in the family's kitchen. When he was three years old, his father took him for a ride in his first successful car on June 4, 1896. Ford Motor was founded in 1903, the same year Ford was making his first car sketches. Later as a student at Detroit's University School, young Ford wrote essays on automobiles and manufacturing them. After school he visited the Ford factory and helped out in the office, licking stamps, carrying mail, and learning how cars were made. When he was 12, Ford had his own Model N Runabout, and his interest in car design drove him to formulate a number of car designs, including the Model T Torpedo Runabout. Ford introduced his father to his University School manual arts teacher, Clarence W. Avery. Avery soon signed on with Ford and is generally given the main credit for developing the moving assembly line. The Ford Motor Company's biography differs from other accounts on why young Ford did not attend college after completing Detroit University School in 1912 but instead went to work for his father. The company suggests the decision was Edsel Ford's own and stemmed from his wish to be different. However, Eastern Michigan University's George S. May, writing on Ford in The Encyclopedia of American Business History and Biography offered another explanation: "Henry Ford, whose formal education had been confined to a one-room country school, was convinced his son would learn all he needed by working for the Ford company. This was perhaps the first major instance in which Ford interposed his authority to prevent his son from doing what he wanted to do." May does note, though, Ford may have bypassed college of his own free will. He had certainly showed great enthusiasm for the company, and there was never a doubt he would work at Ford eventually. At the company, Ford demonstrated management ability and an understanding of all aspects of the business. While his rise to power within the company was clearly driven by his father, Ford's pleasant personality won him much respect and affection from Ford employees. On November 1, 1916, Ford married Eleanor Lowthian Clay, niece of Joseph L. Hudson, who owned Detroit's largest department store and was a leader of the Hudson Motor Car Co. Ford's parents approved of the union, but as Ford's wife came from older money, she was able to introduce her husband to Detroit society, a fact that would later come between Ford and his father. While Ford's parents hoped the couple would be neighbors to the Ford family Fair Lane estate, Ford and his wife chose to live in Detroit's fashionable Indian Village section. The couple's first son, Henry Ford II, was born in 1917, followed by Benson in 1919, Josephine in 1923, and William Clay in 1925. In the late 1920s, the family moved to the elite Detroit suburb of Grosse Pointe Shores and lived in a home more elaborate than Fair Lane, further straining father-son ties. When the post of company secretary opened up following the 1915 resignation of James Couzens, Ford was appointed at the age of 21. He also was named to the company's board of directors. Couzens had quit in objection to the senior Ford's antiwar pronouncements following the war's outbreak in Europe the preceding year. Young Ford would never stand up to his father like that. Although Ford had said after the United States entered the war in 1917 he was willing to be drafted; his father insisted on an exemption, which Ford sought and received. His work was said to be essential to the war effort, and he was married with a dependent child. Nonetheless, some thought Ford a draft dodger, the result of his complying with his father's wishes. In January 1917, Ford became vice president of the company. "From the beginning he assumed responsibility for the business side of the company, sales, purchasing, advertising and the numerous details of the daily routine," the Ford Motor biography said. "His father was free to concentrate on engineering and manufacture." Ford saw a good deal of success during his early years at the company. He helped bring the Fordson tractor to market, supervised automobile sales and foreign operations and assisted in managing the company's wartime production. Henry Ford suddenly resigned the presidency of Ford in December 1918, and Edsel Ford was elected to succeed him. The senior Ford had been angered by minority stockholders, particularly the Dodge brothers, who had sued for increased dividends. Early the next year, Henry Ford said he would form a new company and produce a car to rival the famous Model T. Made skittish by the threat to the value of their Ford shares a Model T competitor would pose, minority shareholders sold their shares to agents secretly working for the Fords. 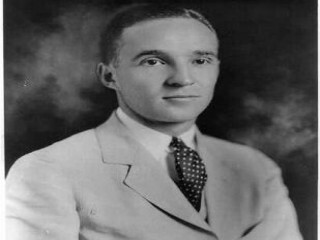 Edsel Ford is said to have been instrumental in this ruse of his father's, which brought complete ownership of Ford Motor back to the Ford family. The charade led to Edsel Ford's ownership of 41 percent of the company's stock that had been in non-Ford hands. Henry Ford remained the majority stockholder-seemingly forgetting his plan for a Model T rival-while his son remained Ford president. "The commercial side of the company was Edsel's domain," the Ford Motor biography said. "The overseas operations were of special interest to him and he worked to expand Ford facilities in foreign places. He encouraged and supervised Ford participation in public events such as the World Fairs of the 1930s. He constantly emphasized quality and service as the prime factors in Ford sales. In business and administration it was Edsel behind the scenes who held the company together." But as a number of executives left Ford, those who remained tended to be loyal to Henry Ford. Edsel Ford sought, and for a time found, an ally in his brother-in-law, Ernest Kanzler, an attorney who had been hired to manage the Ford tractor business. Kanzler had ascended to a vice presidency when Henry Ford determined Kanzler was trying to drive a wedge between him and his son. Kanzler and Edsel Ford agreed Ford was in need of management policy changes. Kanzler's downfall came after he petitioned Henry Ford to discontinue the Model T and replace it with a more modern car. When Edsel Ford returned from a European trip, Kanzler was gone; he'd either been fired or resigned. According to May's biography of Edsel Ford, the son never attempted to challenge his father over Kanzler's departure although he himself had been arguing for a Model T replacement. During his tenure at the top of the company, Ford had a number of his decisions reversed by his father, reversals he is said to have accepted quietly and without complaint. One area where Edsel Ford's talents were allowed to soar unfettered was automobile design. While the younger Ford enjoyed modest success in persuading his father to revamp the venerable Model T with smoother lines and choice of colors, he wielded considerable influence over the Lincoln cars. When Henry Ford agreed to buy the failing Lincoln Motor Co. in 1922, he saw himself acquiring a canvas for his son's design artistry. Edsel Ford transformed Lincoln into a leading luxury car in a market well populated with fancy models. When the time finally came to replace the Model T, the Model A, introduced in 1927, had an elegant look, thanks to Edsel Ford. The Lincoln Zephyr followed in late 1935 and was regarded as the first successful streamlined car. The Lincoln Continental came in 1939 and was architect Frank Lloyd Wright's choice for most beautiful car of all time. Other designers managed development of the Zephyr and Continental, but Edsel Ford was a supervisor and close collaborator. Ford's artistic interests revealed themselves again in tastes more sophisticated than his father's. He supported painter Charles Sheeler's studies of the Ford Rouge plant and in the early 1930s financed Diego Rivera's Detroit Institute of Art murals, also centered on the Ford Rouge operations. Ford became an avid art collector and principal benefactor of the Detroit Institute of Arts. His father's collections of Americana spawned Henry Ford Museum and Greenfield Village. Aviation also caught the fancy of Edsel Ford. He bought the Stout Metal Aircraft Co. to produce the famous Ford trimotor plane. Ford's aircraft division pioneered the establishment of airlines and flew U.S. mail. Ford also mobilized engineers and technicians to develop a conveyor system for mass production of World War II bombers with interchangeable parts. During the 1930s, Henry Ford ignored the advice of his son and enlisted the aid of Harry Bennett and his strong-arm tactics to thwart attempts to unionize Ford plants. Edsel Ford argued in 1937 the company would eventually be forced to recognize a union, and that finally happened in 1941. The war effort and its pressures are said to have contributed to Ford's early demise at 49. Others hold the main detriment to his health was the stress of running the company and pressure from his father. When Ford had surgery for a stomach ulcer in 1942, doctors discovered rapidly spreading cancer, news they kept from their patient. Later that year, Ford contracted undulant fever from drinking unpasteurized milk from the Ford farms. Despite this widely publicized illness, May asserts in his biography it must have been the cancer that killed Ford in the spring of 1943. View the full website biography of Edsel Bryant Ford.